It’s been a huge rumor for quite some time, but during the huge Parks & Resorts Panel at D23 on Saturday, Disney finally confirmed plans for Disney’s Hollywood Studios. The new expansion will part of a “reimagining” Hollywood Studios. It was first announced earlier today that part of that reimagine would be Star Wars Land, now we get an all new land to add to the mix. 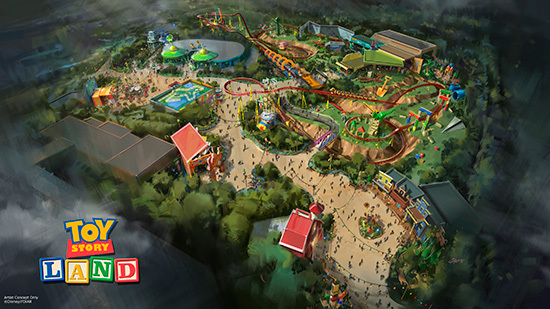 Toy Story Land will add new attractions and expand the existing area. The new land will be more than just a few new rides. The new land will look like Andy’s backyard, with blocks, game pieces, and anything you can play with. 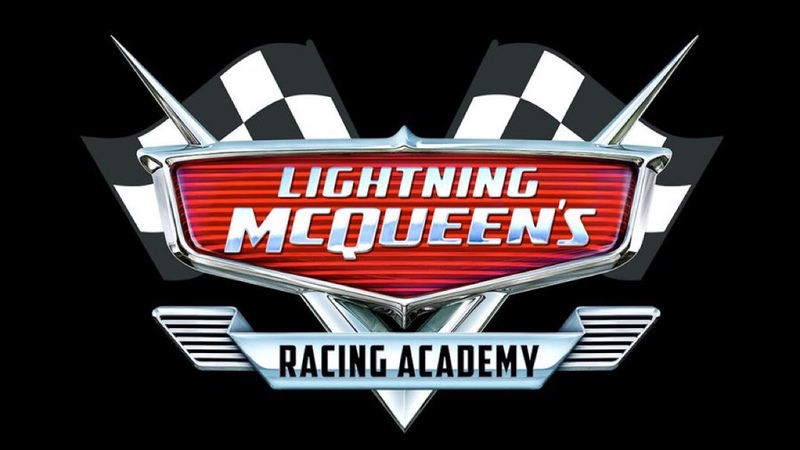 There will be two all new experiences coming to the new land, both of which will be specific to Disney’s Hollywood Studios, and not seen anywhere else on the planet yet. 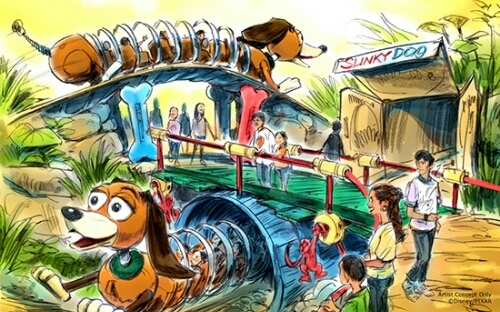 The big new experiences will be the Slinky Dog Coaster. No specific details have been released about it, but it will let guests ride on Slink through a twisting and turning track. The ride will be family friendly, and will be one of two new attractions that will shrink guests down to the size of a toy! YOU! ARE! A! TOOOOOOYYYY!!!! The new coaster will be the centerpiece of the new expansion. The coaster will also feature fun spins and tunnels. The animation looks as if it will include the rocking trains that were used in the Seven Dwarfs Mine Train Coaster. The coaster itself will tell a story, and in it, Andy has taken his Mega Coaster playkit, and built it in the backyard. 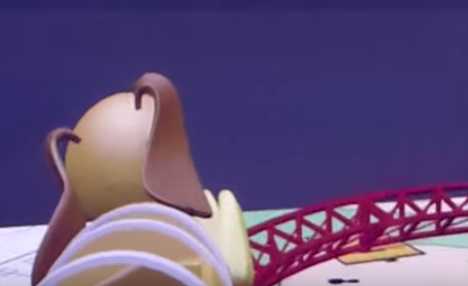 Of course, the regular coaster train isn’t good enough, so Andy put Slinky Dog on the track. The new coaster will also feature some of the other toys like Rex, Hamm, Jesse, and Green Army Men all scattered along the course of the coaster. The next main attraction will be the Little Green Men Flying Saucers. The new attraction will spin guests around as they try to be chosen by the CLAW! He chooses who stays and who goes! There will be tons of music, lights and sound effects as guests spin around the new attractions, which looks like there will be two of. Finally, Toy Story Mania will be getting a much needed third track for the hugely popular attraction, although with all the new attractions, it may not need it! Video- See the full D23 Toy Story Land Announcement! 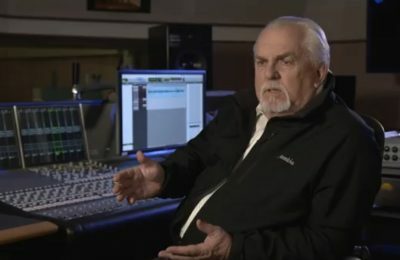 While the new name of the park has not been announced, it was made apparent that what we’ve been hearing all along is true. Disney’s Hollywood Studios will go from taking guests behind the scenes, like a Hollywood Studio, and put them in the movies. It will be less of a Hollywood tour, and more of a Hollywood Adventure. For more information about Disney’s Hollywood Studios, visit the official website by clicking here! Previous PostD23: Soarin Around the World coming to both Epcot and Disney's California Adventure! 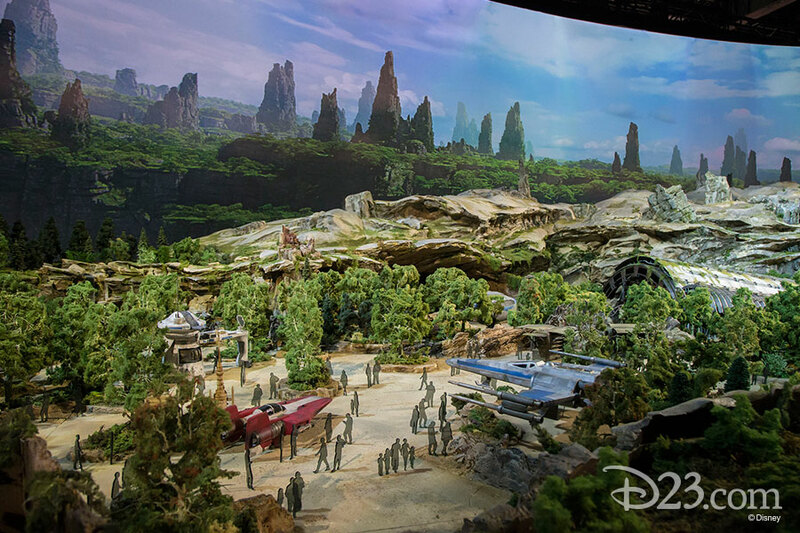 Next PostD23: More Star Wars goodness coming to Disney parks before Star Wars Land!